After a long struggle, our mother, Margaret Halling, was able to “go home” to be with God and all the loved ones she had been missing so terribly. 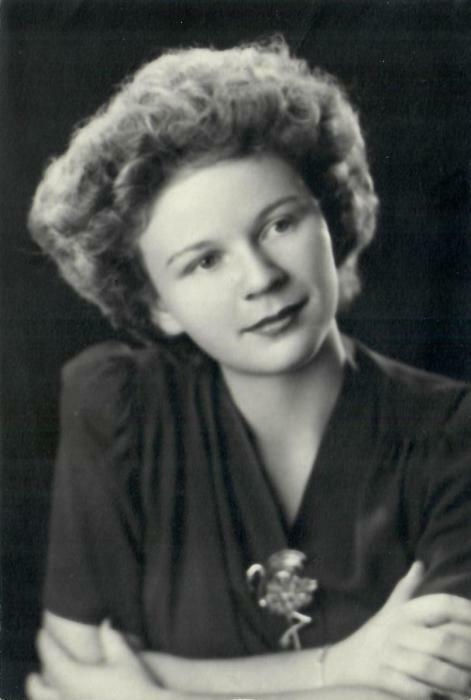 Mom was born on April 10, 1930, to George Stahl Butler and Violet Black Butler in American Falls, Idaho. She was the baby in a blended family of nine children. Because she lost her father and her brother John when she was only a year old, she was raised by a single mother throughout the course of the Great Depression. Mom graduated in 1948 and married our father, Jack Halling, one week later. Three years later they started their family of five children. Over the next 10 years Debbie, Jody, John, Barbara, and Margie were born. During her homemaker years our family moved from Pocatello to Burley, then to Blackfoot, all in southern Idaho. We became a Green Giant family, moving first to Belvidere, Illinois, then to Salisbury, Maryland, finally coming to rest in Dayton. When her children were all in school she began working at Dayton General Hospital, first in the laundry, then in housekeeping. The excitement of hospital work prompted Mom to become a certified nurse’s aide and eventually she studied to become an Emergency Medical Technician. Because she liked to drive fast, she was a natural for driving the ambulance. In 1982 Mom and Dad moved back to their hometown of American Falls, where she worked at Harms Memorial Hospital for a number of years. Dad died in 1991, and Mom moved to Walla Walla to be near family. She and two of her sisters moved into a grand old home, which the family dubbed “the Aunt Hill”. After two years as the Golden Girls, she moved into her own home. In all the homes she lived in, she was like Johnny Appleseed, leaving a trail of rose bushes in her wake. Gardening was always a joy for her. She liked nothing better than a trip to the plant store, invariably returning with a carload-and always pink petunias. Mom always said that she wished she had a talent. She was assured that her talent was her heart for the elderly. She worked in the nursing home wings of both hospitals, making sure that the residents were well-groomed, including giving them pedicures, and always leaving them laughing. In Walla Walla, she teamed up with her dear friend Edna Boone to visit the “old people” at the Odd Fellows every Monday, which caused many a chuckle, as Mom was in her 80s and Edna was over 100. In addition to her ministry with the elderly through Pioneer Methodist Church, Mom was also a member of the Methodist Women’s Group, as well as one of the founding members of the Caring and Sharing group. In 2011 she was named Woman of the Year by the Seven Rivers District Nurture and Outreach Membership. She is survived by her brother, Peter Butler (Patti); her children, Debbie (Tom) Lehman of Michigan, Joanne Sanchez of Walla Walla, John (Sue) Hal - ling of California, Barbara (Gary) Doherty of Walla Walla, and Margie Roueche (Glynn Stevens) of Richland. Also surviving are nine grandchildren and 10 ½ great-grandchildren; sisters-in-law and brother in-law and numerous well-loved nieces and nephews. 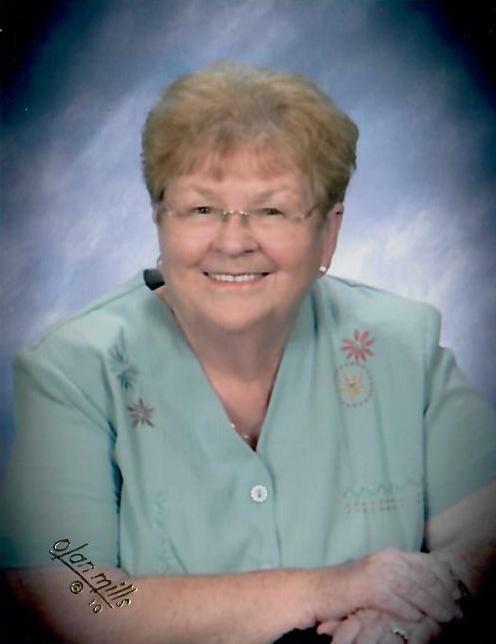 Preceding her in death are her parents; her husband, Jack; siblings, Stahl, Helen, Florence, John, Ruth, Mary, and Betty Kaye; and two grandchildren, Robin and Jordan Roueche. Special thanks to Dr. Wilcox, Carol, Cheryl and all who helped us through Hospice. Memorial contributions may be made to Pioneer United Methodist Church, Hospice and Alzheimer research. A graveside service will be held 2:00 PM Monday, July 16, 2018 at the Valley View Cemetery in Rockland, Idaho.